A smell of fluffy pastry fills the air, pleasantly warmed by the oven. The magic of simplicity and the fascination of dignified modesty … True luxury is living in a world of glorious smells and tastes. Strong family ties and deep roots are what characterise the gentleman. 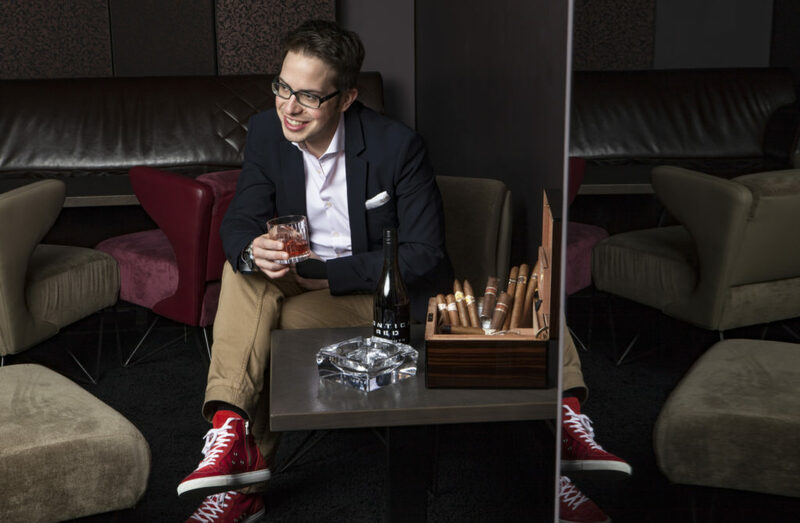 Reinhard Pohorec is cosmopolitan, a successful entrepreneur and a creator of pleasures who is at home around the world, but always fully aware of his roots. A multi-talented ‘jack-of-all-trades’, Pohorec finally found his calling in indulgent and luxurious goods, as a lover of straightforward craftsmanship of the highest quality, ever in pursuit of perfection. Pohorec has bartended for the extremely upmarket clientèle at the American Bar at the Savoy Hotel, and for the Royals at Glorious Goodwood, distilled spirits at a craft distillery in the City of London, and much more, including the creation of the RUBIROSA – a gentleman’s drink that is at once classic and intriguing! “As a creator of pleasures, it is both my passion and profession to noticeably and sensually bring to life emotions, people and brands. Taking an interdisciplinary approach, I unite smell, taste, pleasures of the senses, lifestyle and luxury, interpreting life’s loveliest aspects in myriad ways. The Rubirosa Drink is about perfectly transporting the qualities behind the RUBIROSA label right into the glass. Delicate woody notes and leathery accents characterise the rich bouquet of this exclusive and noble beverage of refined grace. And yet the freshness and lightness of every sip expresses a distinct joie de vivre, with stimulating hints of citrus. The concoction is an essence that blurs the line between cocktail and perfume as a fragrant tipple for the indulgent lifestyle. As a drink, RUBIROSA ideally captures the characteristic elegant cosmopolitanism of Porfirio Rubirosa, carefully crafted using select ingredients of unsurpassed quality. This creation opens the door to the sumptuous and scintillating world of the RUBIROSA brand. Vivacious luxury, true style and bold, worldly taste come through in this, the best of spirits for the modern gentleman of verve and nonchalance. 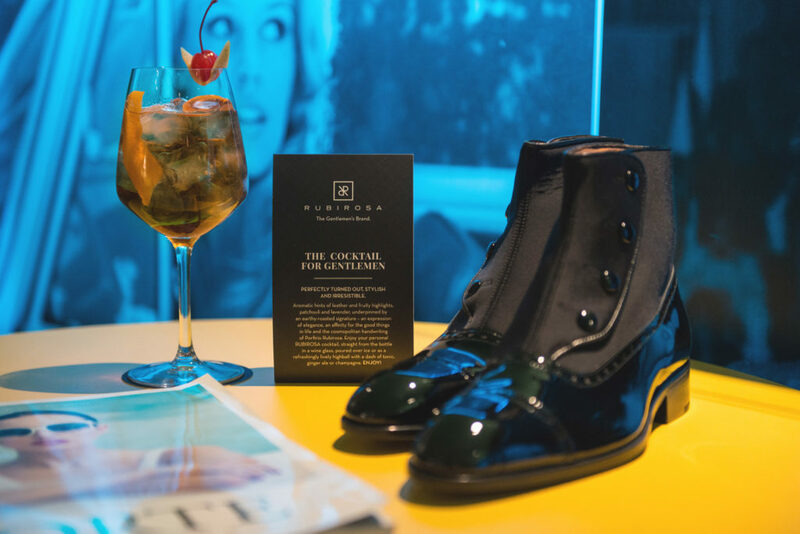 Since last year the cocktail has been served at Badrutt’s Palace in St. Moritz and in Tür7 in Vienna, and as of this year has been available at the Riviera Lounge Club Bistrot in Forte dei Marmi.